From the beginning, when we installed the Microsoft Lync 2013 client, we had a problem with the fact that Lync 2013 does not update the status on the basis of meetings listed in the Outlook calendar. The result of this was that we had to adjust the status of Lync 2013 client manually for Busy eg. : when a calendar appointment was entered, and then adjust it to Available, after appointment. 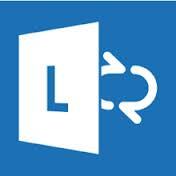 remove and recreate Lync user account, change Windows OS version to 7 or 8 with the same result. Unfortunately, nothing helped, so this weekend we decided to finally take the subject seriously. As it turned out, after a search we found KB2804472 article published by Microsoft on 01/17/2013, which solved the problem. We’ve read that primary SMTP address assigned to mailbox is causing problems, with status updates in Microsoft Lync 2013. This problem may occur when the user’s primary SMTP address contains uppercase characters. It is in our opinion a very strange behavior, because most e-mails rather on Microsoft Exchange servers are created so that the first letters of the name and the names are spelled with a capital letter. In this case, at the time of implementation of all the Lync 2013 client, suddenly we had a lot of users unhappy with the operation of the new client. The solution to the problem, and in fact the workaround recommended by Microsoft is, of course, change the SMTP primary address to lowercase letters. Unfortunately, such operations can not be performed easily in the console EMC because SMTP address rewriting to lowercase letters for the console is not recognized as any change in the EMC console and the address is entered again as it was with capital letters. You need to change letters to lowercase and in the same time add some sign (letter or digit) to address and save. Then address will be saved with lowercase letters. After this operation, we need to re-edit the address and remove the appended character. We hope that the issue with Microsoft Lync 2013 status will not be swept under the carpet by Microsoft and in the next update or CU for Microsoft Lync will be corrected. Tagged KB2804472, Lync 2013 update status problem, Microsoft Lync 2013. Bookmark the permalink.